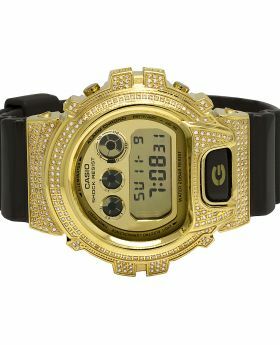 Chocolate/Brown Simulated diamonds G-Shock with a matching yellow diamond dial. 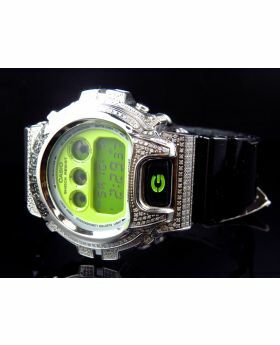 Item comes with original Casio warranty booklet and G-shock Box. 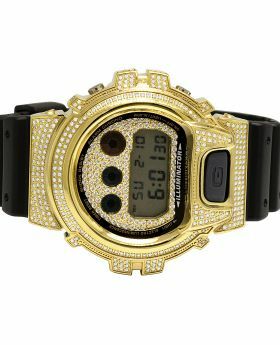 This Brand New Casio G-shock watch encompassed in a custom diamond shell. 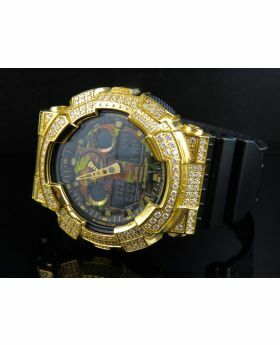 A total of 5.50 Ct of HIGH QUALITY Chocolate/Brown Lab created diamond stones, set of this extrodinary one-of-a-kind G-Shock. 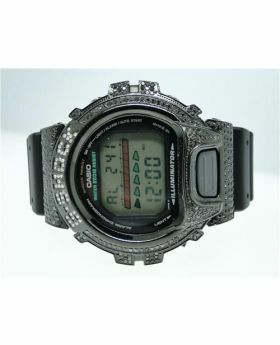 Each diamond is machine set in a pave setting on a Stainless steel casing with a Black gold finish. 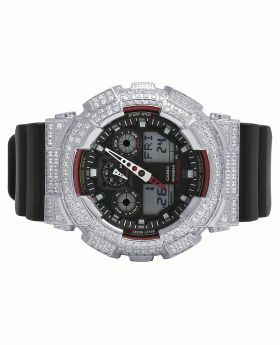 Absolutely no difference in shine, setting or quality with our genuine diamond gshocks, only 1/5 of the price. 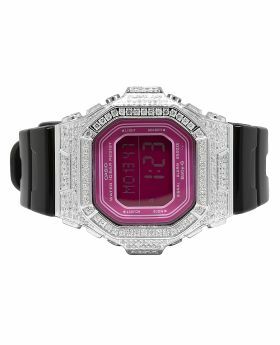 Brand new in the market are the iced out dials, nowhere else can you find such a customized diamond gshock, exclusively available at Jewelry Unlimited.